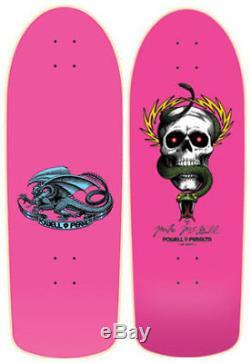 POWELL PERALTA SKATEBOARD DECK - MCGILL OG PINK. Powell Peralta® decks are made in the USA at our own skateboard manufacturing factory in Santa Barbara, CA using U. Hard rock maple and AirLam fused with Type 1 glue. The item "POWELL PERALTA SKATEBOARD DECK MCGILL OG PINK" is in sale since Tuesday, March 28, 2017. This item is in the category "Sporting Goods\Skateboarding\Parts\Decks".